Yes Cain, we are our brother’s keeper. Socially, politically, economically, and of course spiritually. If our brother has fallen on hard times we are posed with Cain’s question each time we face the man in the mirror. Many of us may do as Cain did – sidestep the issue rather than stepping up to it. All praises to God however, some have decided to lead the way and share our brother’s burden. 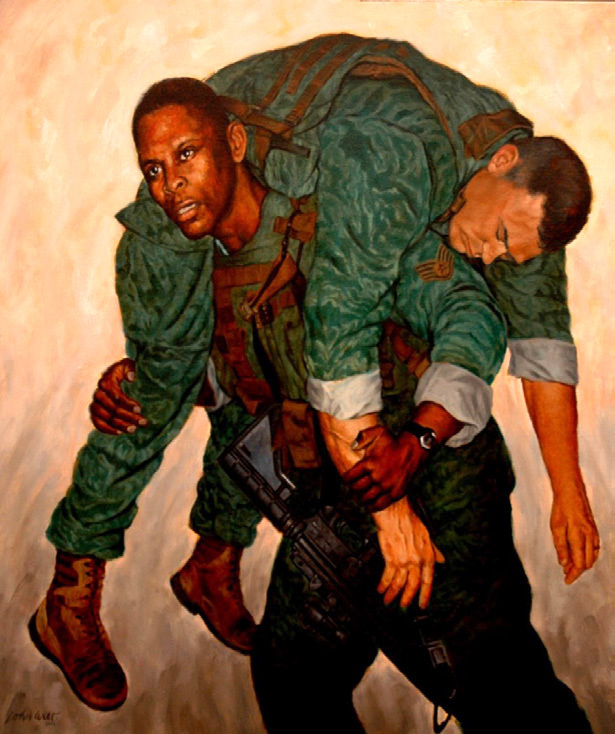 “He ain’t heavy – he’s my brother!” Dr. Martin L. King, Jr., Baptist Minister/Civil Rights Activist. “I am in Birmingham because injustice is here … I am cognizant of the interrelatedness of all communities and states. I cannot sit idly by in Atlanta and not be concerned about what happens in Birmingham. Injustice anywhere is a threat to justice every-where. We are caught in an inescapa-ble network of mutuality, tied in a single garment of destiny. Whatever affects one directly affects all indirect-ly. Never again can we afford to live with the narrow, provincial “outside agitator” idea. Anyone who lives inside the United States can never be consid-ered an outsider…” Letter From A Birmingham Jail, Dr. Martin L. King Jr.
“He ain’t heavy – he’s my brother!” The silent protest of Colin Kaepernick, NFL football player. Kaepernick began sitting during the national anthem during the 2016 pre-season. A silent protest to show support for people of color who are being oppressed in the United States, and to take a stand against police brutality. It’s an effort to use his voice and his position as a NFL player to effect change for the people who are suffering, and don’t have the same ability to create significant change. “I am not going to stand up to show pride in a flag for a country that oppresses black people and people of color,” Kaepernick said, via NFL.com. “To me, this is bigger than football and it would be selfish on my part to look the other way. There are bodies in the street and people getting paid leave and getting away with murder.” A timeline of Colin Kaepernick’s national anthem protest and the athletes who joined him, by Mark Sandritter. At the midway point of the 2017 NFL season, Kaepernick is still an unsigned free agent. Many believe his unsigned status is due to his protest rather than his talent. Recent events have escalat-ed the situation and may have signaled the end of his NFL career.